Washington winery, Pacific Rim, is partnering with Sara Lee desserts this holiday season on a nationwide supermarket program that includes wine pairing ideas, recipes, and coupons. There are three wines – Riesling, dry Riesling, and sweet Riesling – paired with recipes based on Sara Lee cakes and pies and boy, do they look good! 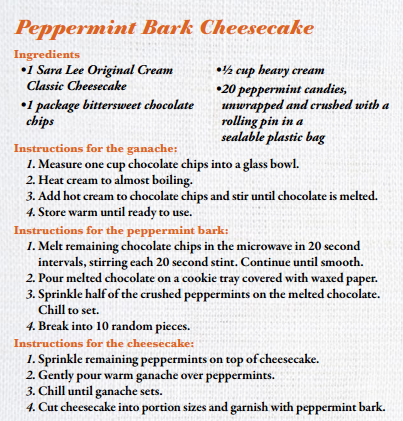 Check out this tasty Peppermint Bark Cheesecake recipe that pairs perfectly with the Pacific Rim Riesling! 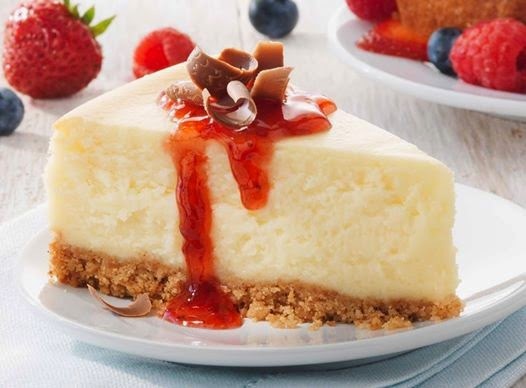 This decadent twist on classic cheesecake is sure to garner attention at your next holiday gathering! Classic cheesecake covered in chocolate ganache and sprinkled with pieces of peppermint chocolate bark. Enjoy this tasty recipe with your favorite Pacific Rim wine this holiday season!